Agency Power Carbon Fiber Rear Finisher Panels - Dezod Motorsports Inc - Home of the automotive performance enthusiast since 2002. 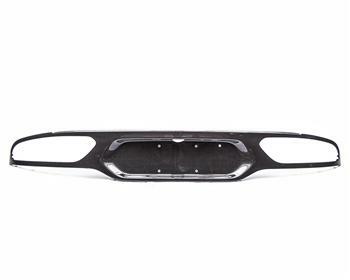 Agency Power has added to its aero kit program with these carbon fiber rear finishers. Its hard to make many cars even more impressive but these new pieces help add to the cars dramatic looks. 100% carbon fiber, it is a replacement for the OEM part, works with the factory clips. Made in a 2×2 UV protected carbon weave, the parts glossy clear coat screams beauty as if it was from the factory.